Many cars have a four-cylinder engine, but these are the ones we highly recommend. Automakers have been going down the downsizing route in order to meet emissions standards. Big V8 and V12 engines are starting to seem as culturally acceptable as smoking a cigarette in a restaurant or not wearing a seatbelt in a car. Still, enthusiasts are forced to soldier on and continue loving cars with these downsized engines. There are some impressive four-bangers out there, however, so we've compiled a list of the best four-cylinder engines on the market today with a special enthusiast-focus. Ford's EcoBoost line of engines is a huge departure for the company. In the US, Ford has always relied on V8 engines to make big power, but the latest GT supercar actually uses a V6. 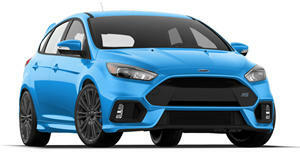 We particularly love Fords 2.3-liter four-cylinder EcoBoost that is found in the Focus RS and the Mustang. This engine produces a massive 350 hp in the RS and an impressive 310 hp in the Mustang. The Focus RS was extremely hyped up when it finally came to the US for the first time, and it brought a halo effect to the first turbocharged Mustang since the '80s SVO model. This engine proves that you don't need a big V8 to have big power. The high-performance hot hatch market was well established with models like the VW Golf R, Ford Focus RS and Honda Civic Type R, before Mercedes-AMG came along and sucker punched them all with a 375-hp glove. 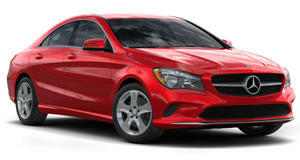 We don't know how Mercedes was able to extract so much power out of just two liters in the CLA and GLA 45 models. This hand-built engine is an absolute marvel that produces more power than many V8 engines did 10 to 15 years ago. This engine produced 355 hp when it first came out, but was then upped to 375. Mercedes wants to squeeze 400 hp out of the next generation 45 AMG models, which should be spectacular. 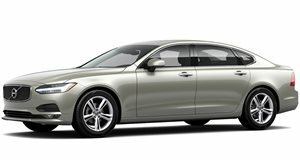 Volvo has gone all-in on four-cylinder engines, and now exclusively offers them in all of its models. This isn't such a bad thing, considering that Volvo's 2.0-liter four-cylinder is either turbocharged or twin-charged and can have hybrid assist. The top-spec T8 drivetrain utilizes a supercharger and a turbocharger with hybrid assist for total output of 407 hp. Polestar then takes this drivetrain and ups the power to 421 hp. That makes the Volvo four-cylinder the most powerful on the market right now. There are even rumors that this drivetrain could produce up to 600 hp in performance Polestar models. There is a lot of buzz surrounding the Alfa Romeo Giulia Quadrifoglio, but the base Giulia is pretty special as well. 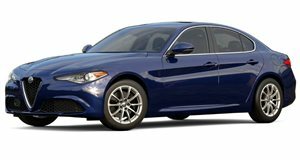 FCA made the decision to only offer the standard Giulia with one engine, a 2.0-liter four-cylinder turbo. Unlike other cars in the segment that have a six-cylinder option, the Giulia has to sit right in the middle of the pack in terms of horsepower. The Giulia's engine produces 280 hp and 306 lb-ft of torque. This may not be as much as models like the Audi S4 or BMW 340i, but it wipes the floor with the equivalent four-cylinder engines in the A4 and 330i. Mazda's 2.0-liter SkyActiv engine is the only naturally-aspirated unit on this list. 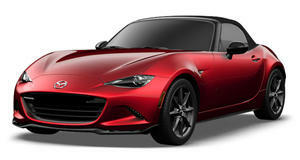 In the MX-5, this engine produces 155 hp and 148 lb-ft of torque. Neither of these numbers are particularly impressive when compared to the rest of the cars on this list. The MX-5 makes the list for having an incredibly fun four-cylinder that proves that power isn't everything. This SkyActive unit is the sweetest sounding that has ever been put into an MX-5. This engine is happy to rev, but doesn't drone on the highway like previous Miata generations. It also gets incredibly good gas mileage thanks to its SkyActiv technology.